Crafty Space Extra – most Friday mornings during the summer holidays. Crafty Space’s aim is to prove time and space for you to work on your craft projects alongside other knowledgeable crafting friends. Click here for more details. Over the Summer holidays, we are pleased to announce “Crafty Space Extra” in the café area. 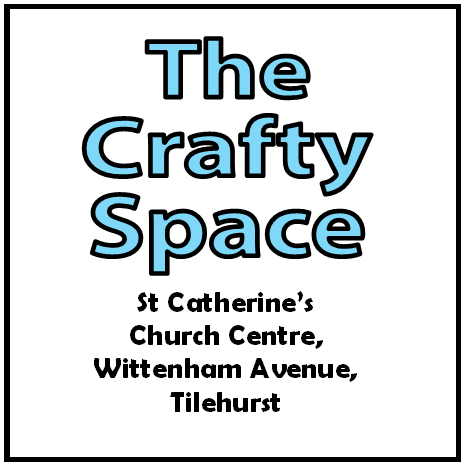 Table space will be available at the non-café end of the church for those portable craft projects you haven’t quite had to time or space to get around to completing yet! Refreshments and lunch may be purchased from the café at these times. We regret that Friday Friends will be closed on 28th July to allow helpers to attend a funeral. We will be back to normal the following week. A reminder to register for our SHOWSTOPPERS Holiday Club. It is very helpful to us if you register by Friday 21st July to enable us to plan the groups and get the right amount of resources for all our children. If you haven’t already got your registration form, please pick one up from St Catherine’s church, or contact us via email. 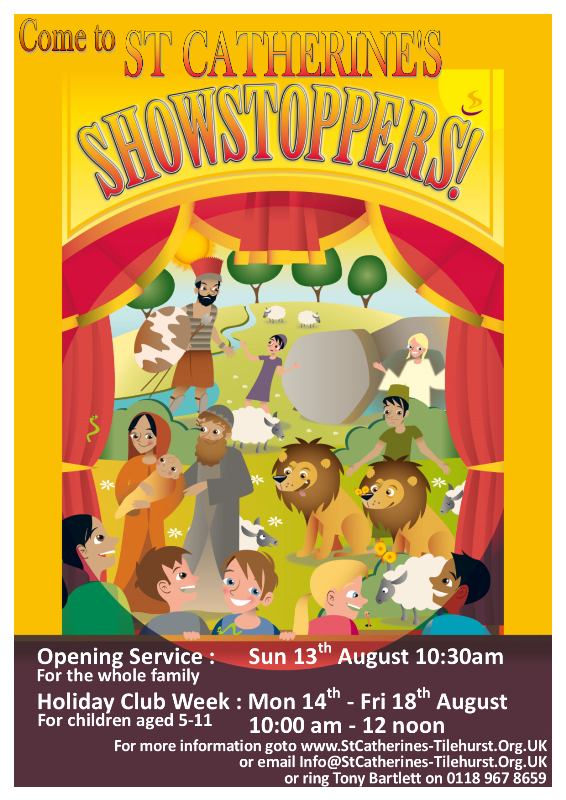 SHOWSTOPPERS is the theme of this year’s week long holiday club at St Catherine’s. It’s for children aged 5 – 11 and lasts 2 hours each morning. Every morning, through fun, games, video, stories, songs, drama and craft; we’ll be looking at a well known story from the Bible that helps us understand God’s plans for us and his creation. At the end of each morning, different groups of children have the chance to be SHOWSTOPPERS as they perform a drama or song for parents. Get ready to lift the curtain on the greatest show on earth – God’s great plan for salvation! See the magazine, or click here, or contact us here for more details. 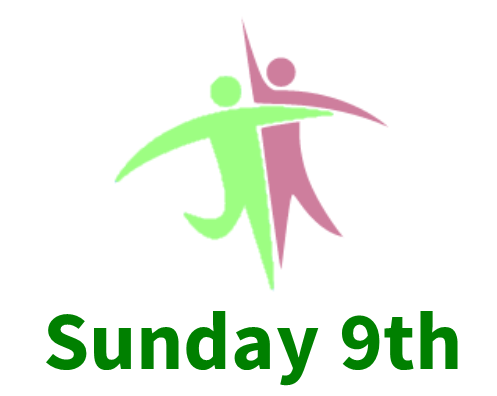 Sunday 9th July is a joint service at the Cornwell Centre where we’ll join members of Cornwell Community Church. In response to previous feedback, the service will be at the normal Cornwell time of 10.30 for 11.00 am. So come early for cake and real coffee. Another reason for the later start is that we’ll finish with a picnic outside (weather permitting). We’re not allowed to take anything outside the Cornwell Centre (chairs, tables, cutlery, crockery etc.) so bring what you’ll need to eat and sit on (we’ll continue to provide cake and drinks). There will only be the 8:00am service at St Catherine’s on that Sunday, so we hope that you can join us, even if you can’t make the picnic.